A foundation of logical thinking fueled by math and mechanical skills guides electrical and electronics engineering technicians to help engineers develop a range of useful products including computers medical devices navigational equipment… and more. Electrical engineering technicians draw diagrams and write specifications to clarify engineers’ designs. They put electrical control equipment prototypes and systems together, identify design problems, and then come up with ways to solve them. They also test parts to ensure their quality, and write up reports on their findings. 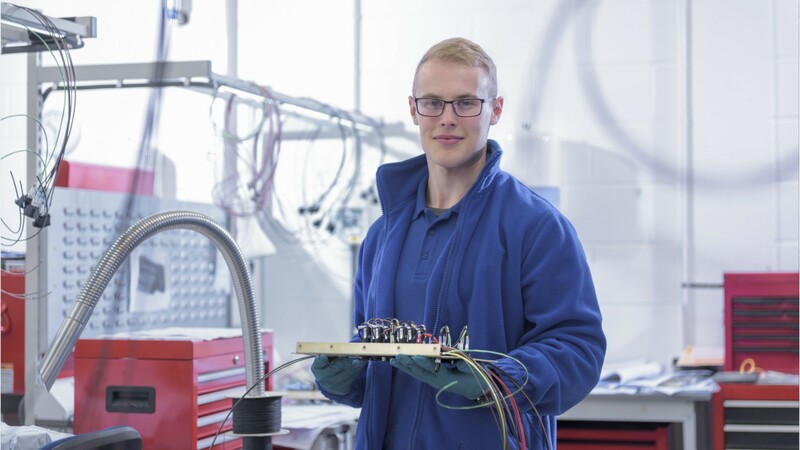 Electronics engineering technicians use machine tools to make parts, such as coils and terminal boards. They resolve equipment malfunctions and maintain electronic systems, including testing components and replacing defective circuits. They also design basic circuitry and build prototypes from simple plans. Electrical and electronics engineering technicians work in offices, laboratories, and factories and may be exposed to hazards from equipment or toxic materials. However, injuries are rare if proper procedures are followed. Depending on production schedules, technicians may work day or night shifts. A standard workweek is more typical in federal government jobs. Most positions require an associate’s degree in electrical or electronics engineering technology. Electrical Engineering Technicians by U.S. Department of Labor, Employment and Training Administration is licensed under a Creative Commons Attribution 4.0 International License.